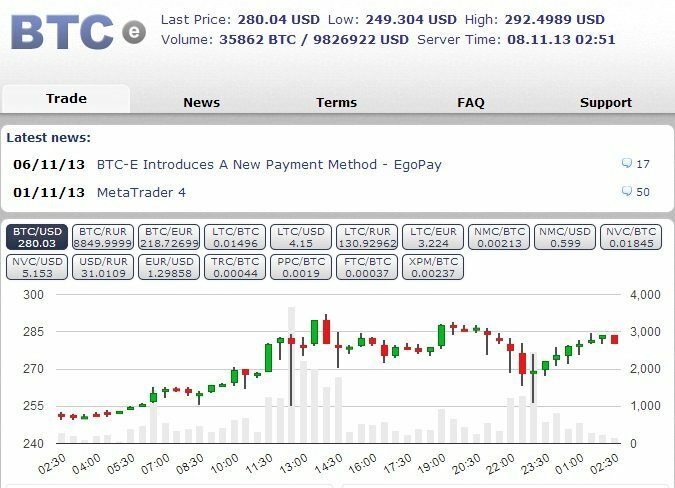 The cryptocurrency exchange BTC-E just partnered up with the online payment gateway and processor EgoPay, integrating a new payment method and enhancing the trading experience for its clients. Besides offering “a safe, fast and convenient way to conduct business, shopping and entertainment activities online”, according to a statement published on BTC-E’s website, the fast-growing e-currency also provides “a unique multiple wallets system which would provide users with superior tracking and management” of their digital money. So far, EgoPay only operates with two currencies: US dollars and Euros. The exchange explains that the accounts at EgoPay can be funded using 49 different funding channels like Payza, Western Union, WebMoney or Visa/MasterCard. And the best is that the receivers of the transactions performed through its “list of 55 official exchanges located around the world” will not have to pay any fee. The partnership with this platform “renowned for its great customer service and instant payment transactions” will be particularly attractive for the users based in China, Hong Kong, Macau and Taiwan. This new bullish addition means that BTC-E currently provides 12 different forms of funding options.